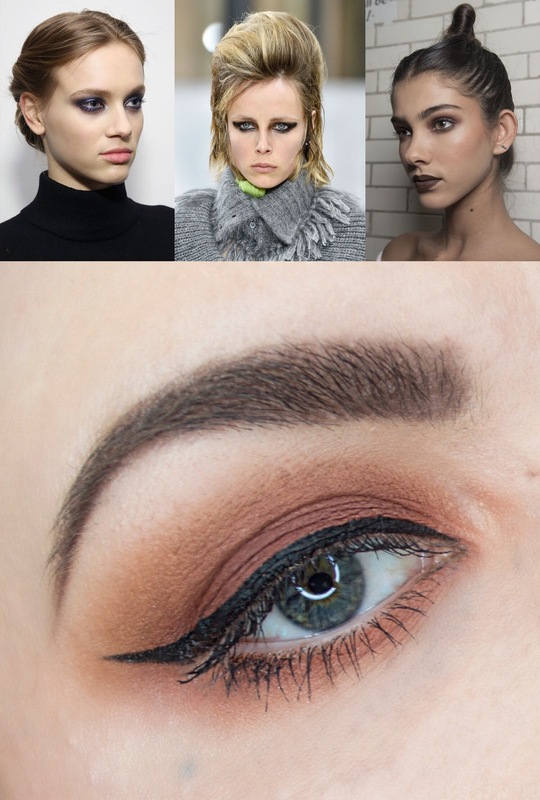 AW18 MAKE UP TRENDS // INTU DERBY WELCOME TO OUR WORLD - Sugar, Darling? If you're a Fashion Week catwalk addict like me I'm sure that you too aren't only looking at the clothes but the make up too. Although beauty trends move more quickly than fashion what you see on a catwalk is a really good indicator of the looks you'll want to recreate next season, just in a more extreme and photographer friendly style. As you'll see from some of the looks below there are definitely trends that your average fashionista wouldn't dream of wearing in 'real life' (hello glitter face) but I think part of the fun of recreating these styles is changing them up into something you'd be happy to wear at the office or out and about in town. To give you guys a head start I've reimagined five of the big AW18 catwalk trends in a much more day to day friendly and much easier way, using all products that I picked up at intu Derby shopping for the Welcome To Our World campaign. Check them out below and find out the exact products you need to do recreate them at home! Hopefully you saw my last outfit post where I put together an outfit showcasing the metallic of the upcoming festive season, silver. 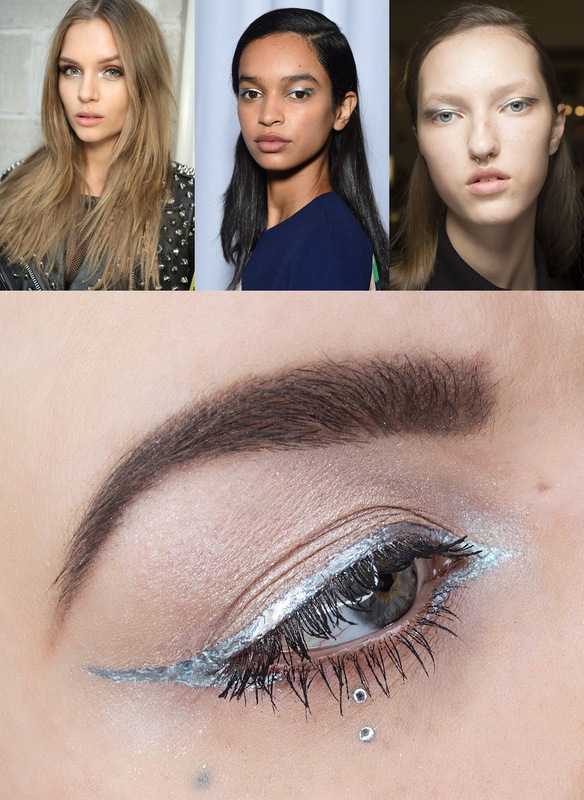 Well this isn't just a trend for your clothes - Tommy Hilfiger's models sported silver shadow as an attention grabbing inner eye highlight and Delpozo took metallic silver liner and created choppy, graphic designs over the lid. For my version I took MAC's Dazzleshadow Liquid in shade 'Stars In My Eyes' (£16.50*) and applied it with a thin liner brush to create a chrome-like cat eye that extended down to define and sharpen the inner corner - a graphic style in a much more manageable application. If you want to add a little extra pop you can add few pieces of oversized silver glitter or make up grade gems under your eyes too - MAC's Loose Glitter in Silver Stars (£16.50*) would be a great choice. It's no surprise that the smokey eye was present on the runways but this year it was given a twist with either cool metallics like Carolina Herrea, emphasised cat eyes a la Miu Miu or warm matte tones as seen on Area's models. 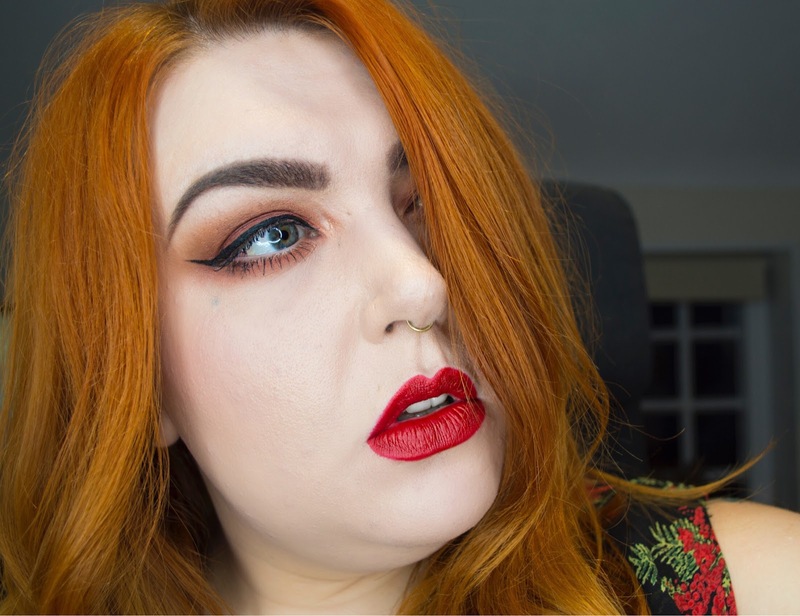 For my version of a smokey eye I decided to go for warm matte oranges and reds that I picked from the NYX 'Away We Glow' Eyeshadow Palette (£18.00*) that I picked up in Debenhams. I apply the colour with a fat brush to build up a good base of colour and then use a clean fluffy blush to blend it out, starting with the lightest shade and working up to the darkest. I used a different shade under the eye for some contrast and rather than use the shadow to build up the cat eye shape I whipped on a slick of black liner for classic definition. 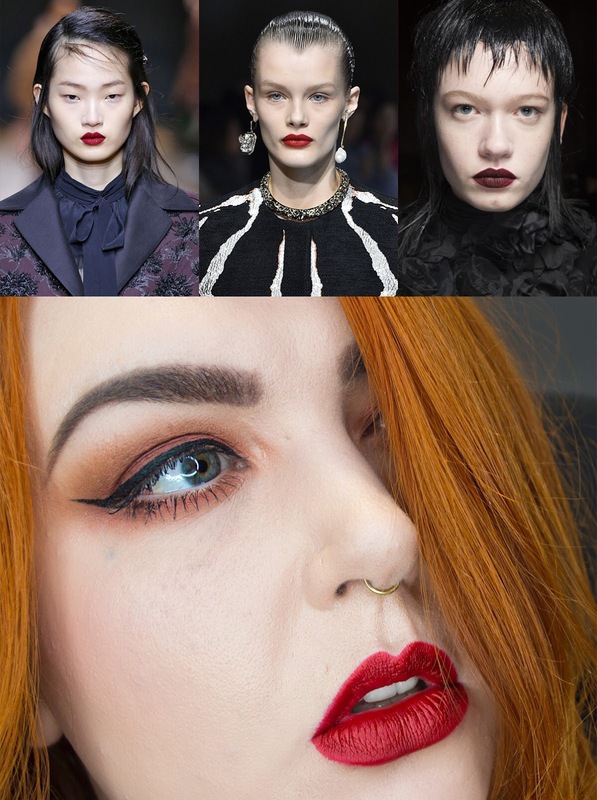 I can't lie, bold red lips are massively my thing and so when I saw some of my favourite designers kitting out their models with dramatic rouge pouts I was thrilled. Whether it was dark and gothy like Alexander McQueen, deep and plummy like Yang Li or defined and bright like Rochas I knew this was going to be my number one look for 2018. For ease of wear nothing beats a matte lipstick when you want to go bright and bold. Usually I immediately reach for a liquid lipstick for maximum staying powder but when I walked into MAC and was shown the Sia Viva Glam Lipstick (£17.50*) I just couldn't resist. The warm toned vivid red is just so classic and it's really comfortable to wear for a matte lipstick, it hasn't dried out my lips at all! Ok let's be honest, none of us are likely to be walking around with an entire face full of glitter like we were seeing on Giambattista Valli's models. 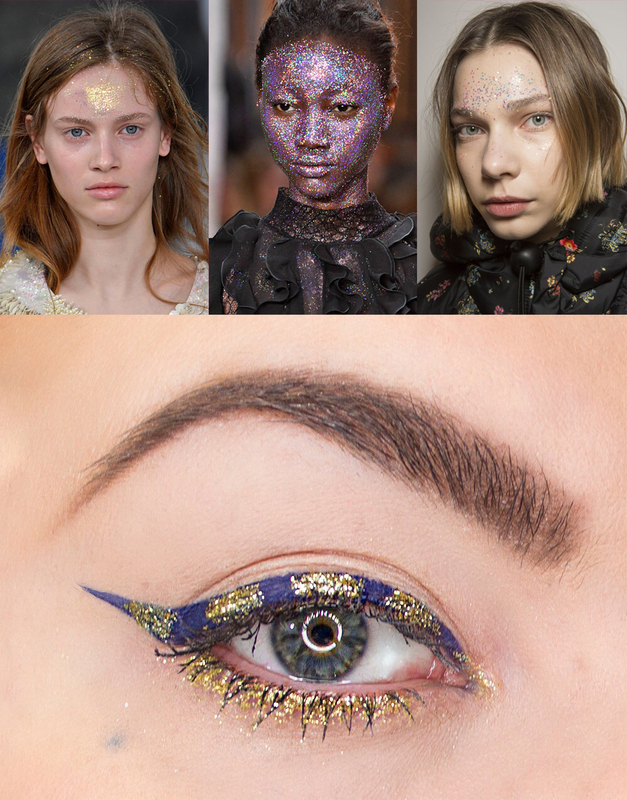 The slightly more sedate sparkly foreheads of Preen's models isn't exactly a day to day look either so it was a bit of a challenge to come up with a glittery look that's eye catching but not too over the top. You may have noticed that I love a bit of cat eye liner so I started with this base and opened up my pot of MAC's Loose Glitter in Yellow Gold (£16.50*). I didn't want to go for a full glitter liner look so I decided to break it up into stripes over the matte liner, applying it carefully with a small brush onto a sticky medium. When I was done I loved the glitzy Beetlejuice vibe but there was something missing so I decided to add shimmer on my lower lash line and a little to the ends of my lower lashes too. Make sure you're careful using loose glitter on your face, believe me you don't want to get any in your eyes! 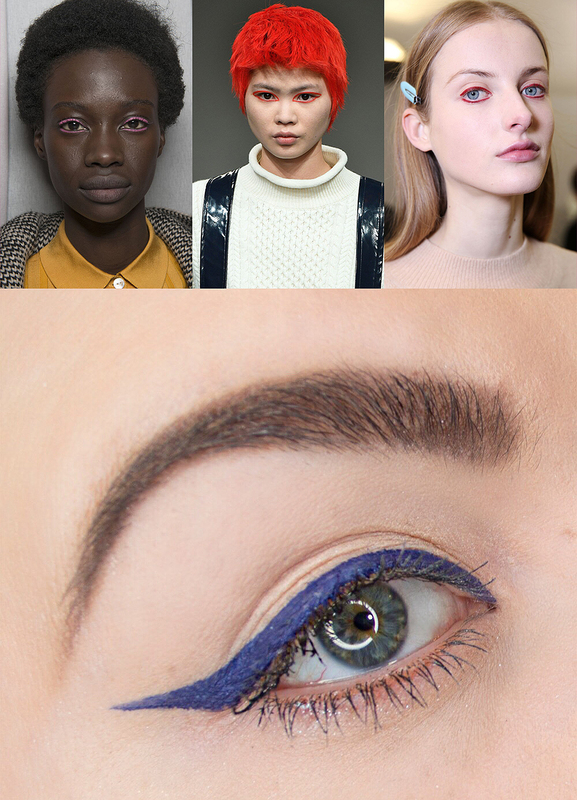 Last but not least, one of the most wearable looks from the catwalk was brightly coloured eyeliner. While Eudon Choi went for graphic lines surrounding the whole eye, Dior's models wore it in a more classic style against the lash lines but with a blocky, simplistic application. I decided to go for a deep blue eyeliner for my version as it's not too far a step away from black to make it unwearable day to day. I grabbed MAC's Pro Longwear Fluidline Gel Line in shade 'Waveline' and applied it with a thin liner brush to get a nice shard tail and defined line. So which of these looks will you be trying this year?